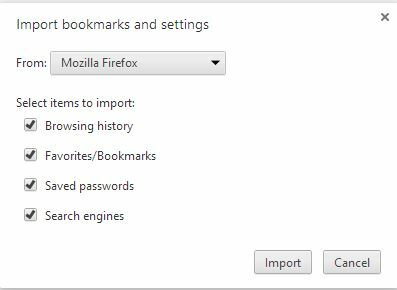 If you are a Firefox user and recently moved to chrome browser, now want to import Firefox bookmarks to chrome. You can do this easily from your Google chrome browser without installing any add-ons or extensions. Google Chrome offer this feature by default, with this feature you cam import all Firefox bookmarks, saved passwords, browsing history and more to chrome browser. This feature is currently available for Firefox and Internet explorer. 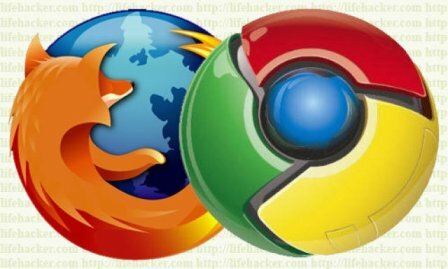 If you are coming from some other browser like safari, opera and want to import bookmarks to Chrome, then you have to try FavBackup from here. With the below tutorial you can import all you bookmark to chrome in any platform Windows, MAC and Linux. As we mention above that to use this feature on chrome browser you don’t have to install any addon or extension. The process is so simple and takes a minute to complete it. Step 1. Open the Google chrome browser on your Windows desktop to start the process. Step 3. 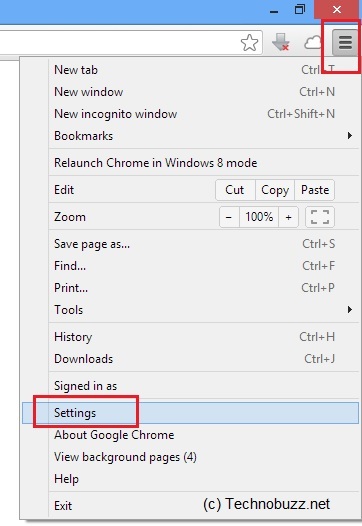 Now you are on the Settings page of Google Chrome browser, Scroll down and find the user option on the page. Here you can see the Import bookmarks and settings button. Click on the “Import bookmarks and settings” to start the importing process. Step 4. 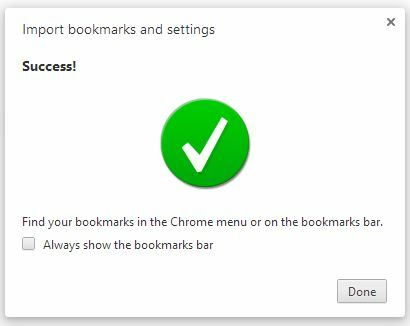 Import bookmarks and settings pop-up should now be displayed on your screen, from here select the browser that you wish to retrieve your personal data from. Here, I have chosen Firefox Browser. After that choose the item that you want to import from Firefox browser. Next hit the Import button to start the process. Step 5. Once the import process it complete, you will get the confirmation message on your screen. Now all the Firefox Bookmarks and Passwords are saved on your Google Chrome browser.